Overview Myriad Neuroscience - the Molecular Sales Consultant plays a significant role in the success of Assurex Health's business. The primary responsibility of the role is calling on psychiatrists and other healthcare providers in behavioral health to present a unique, clinical psychiatric testing program. This position will report to the Regional Business Manager. Responsibilities Identify, develop and manage commercial relationships with key opinion leaders in psychiatric medicine and other key healthcare providers Identify commercial opportunities within a specific region or geography Manage full lifecycle of the product sales process territories' new business development and lead generation programs and initiatives Working with the marketing team in the development of sales and marketing collateral Attend local tradeshows, industry conferences and networking events Staying current on industry and marketplace trends in the areas of psychiatry, behavioral health, pain management and personalized medicine Qualifications Bachelor's degree required ideally in a related field of study Must have a minimum of 5+ years of behavioral health / diagnostic sales / specialty pharmaceutical sales experience Specific scientific knowledge in psychiatric illnesses, psychopharmacology and personalized medicine is strongly preferred Salesforce.com or similar CRM experience required Demonstrated experience in developing and managing commercial relationships with physicians, physician practices, patient advocacy groups and key opinion leaders Verifiable track record with building and growing a sales territory and managing the implementation of commercial programs and sales initiatives Demonstrated experience in building and growing a sales territory and managing the implementation of the company's commercial programs and sales initiatives Exceptional written and verbal skills Excellent time management, scheduling, and organizational skills Ability to manage multiple tasks in a fast-paced environment Ability to work effectively under tight timelines and schedules Ability to work independently and as a contributing team member Ability to sense the importance or impact of issues and situations and take appropriate actions Must be flexible, innovative, and self-motivated Must have the flexibility to work extra hours to meet corporate and departmental goals Strong communication, interpersonal and organizational skills Myriad Neuroscience The physical demands described here are representative of those that must be met by an employee to successfully perform the essential functions of this job. While performing the duties of this job, the employee is frequently required to sit; talk; or hear. The employee is occasionally required to stand; walk; use hands to finger, handle, or feel; reach with hands and arms; and stoop; kneel; or crouch The employee must occasionally lift and/or move up to 25 pounds. Specific vision abilities required by this job include close vision, distance vision and depth perception. PI109186595 Company Description: Myriad Genetics, Inc. (Nasdaq: MYGN) is a leading molecular diagnostic company making a difference in patient’s lives through to discovery and commercialization of transformative molecular diagnostic products that assess a person’s risk of developing disease, improve diagnosis, predict disease progression and guide therapy. We believe in improving the healthcare management of patients by providing physicians and patients with critical information across multiple medical specialties that addresses unmet medical needs. With fiscal year 2015 annual revenue of approximately $700 million and more than 2,000 employees, Myriad is focusing on strategic initiatives, including growing our existing markets, launching new products, and expanding our global presence to take advantage of significant long-term growth opportunities. Customs Brokerage Coordinator - Cleveland, OH USA - req45324 Review and monitor all Customs rejections, requests for information for clients and any other government agency, and other correspondence. YOUR ROLE The Customs Brokerage Coordinator is responsible for coordination of the documentation required by US Customs and Border Protection for entry of goods into the US on behalf of importers. YOUR RESPONSIBILITIES * Provide impeccable customer service * Perform audit review on all assigned brokerage files and payments to customs * Maintain and keep current all customs compliance documentation * Process documents through the Company's ABI system, obtaining Customs release and other government agency releases as appropriate. Arrange both delivery and the invoicing of the import account for services rendered * Review and monitor all Customs rejections, requests for information for clients and any other government agency, and other correspondence. * Adhere to all domestic and international shipping regulations * Mandatory daily correspondence with overseas offices * Work closely with other departments to deliver high level of service to customers * Perform other duties as assigned YOUR SKILLS AND EXPERIENCES * Minimum 3 years experience * Ability to work with demanding deadlines * Excellent communication skills, both verbal and written * Ability to work independently as well as part of a team * Must be detail oriented, thorough and accurate and have the ability to efficiently solve problems * Solid knowledge of domestic and international geography including countries, major cities and ocean ports along with basic knowledge of U.S. Regulatory Laws * Ability to establish priorities and accomplish multiple tasks, must be organized * Strong PC skills * Proven analytical and problem solving skills * Work effectively via phone, fax, e-mail. Good planning and organization skills; ability to multitask and be a self-starter * Basic knowledge of INCO terms, the Harmonized Tariff Schedule, Customs regulations and other government agency requirements GOOD REASON TO JOIN We offer competitive compensation, a comprehensive benefits package, employee discounts, tuition reimbursement, excellent training programs and a highly dynamic global work environment. ABOUT KUEHNE + NAGEL With over 82,000 employees at some 1,300 locations in over 100 countries, the Kuehne + Nagel Group is one of the world's leading logistics companies. CONTACT US Talent Acquisition USA. Description To eat. To laugh. To share. That's why people come to Pizza Hut. It's the calling of our Restaurant General Managers to make them feel like family with smiles, teamwork and dedication. If you're an experienced restaurant or retail manager, think about a career with Pizza Hut. You know who you are - a natural leader, you love putting together a winning team. You're all about teaching new things and motivating the team to work together. At Pizza Hut, you can do all that ? and more. Here, you will work with smart, experienced, fun people. Expect training and growth. Plenty of excitement. Unique challenges. And a world of opportunity. What are we looking for? The good news is that your training will teach you everything you need to know to succeed on the job. But there are a few skills you should have from the get-go: You have at least 2 years of leadership experience in the restaurant, hospitality or retail industry with responsibility for financial results. You're all about creating a great place to work for your team. You want to make your customer's day and it shows in the way you are maniacal about serving amazing pizza with a great big smile. We have a GREAT culture and look for GREAT people to add to our family. You know who you are --honest, energetic, motivational and fun. You have a vision for the perfect restaurant, and you know how to get your team to bring it to life. You set high standards for yourself and for your people. You're up for a challenge. You love the excitement of the restaurant business and know every day is different. And, you're at least 18 years old with a valid driver's license, reliable transportation (not public transportation ? you may need to drive to make deposits for the restaurant sometimes) and a true desire to learn and grow. Keep in mind, this is just basic information. You'll find out more after you apply. And independently-owned franchised or licensed locations may have different requirements. If you want a management career with an innovative company, look no further than Pizza Hut. Apply today! Team truck driver compensation is among the highest in Schneider's fleet. Earn up to $0.56 per mile* starting pay. Truckers will average 5,000-6,000 miles per week (choose more or less) and 1,100 miles per haul. In Schneider's Van Truckload division, Team drivers haul 95% no-touch freight (most loads are drop-and-hook) on a predictable work schedule. With the wheels always turning as a Schneider Team trucker, you'll rack up more miles and money than solo drivers, while enjoying the company of a partner. Split your miles, not your pay, as you launch your Team trucking career today in Illinois, Kentucky, Missouri or Ohio. Looking to become a truck driver? Learn how here or give us a call today. If you need a Team driving partner, Schneider offers a Team Matching Program that finds a partner near you with similar preferences. Have a qualified Team driving partner? Both of you need to apply. Our Team program is flexible and allows people who don?t live near each other to Team together. Eligible CDL Truck Driver Applicants All Class A CDL holders Current team truck drivers Illinois, Kentucky, Missouri and Ohio Team Truck Driver Pay Up to $75,000 per year* with a new pay increase $10,000 sign-on bonus per experienced drivers $7,500 sign-on bonus per inexperienced drivers Performance pay up to $0.04 per mile more, paid out weekly per driver Up to $0.02 per mile annual pay increase per driver Additional $0.01 per mile when both team partners have hazmat endorsement Potential accessorial pay for detention, layover, hand load/unload *Based on CDL driver experience, performance and location Team Truck Driver Benefits Medical, dental and vision insurance, plus flexible spending options 401(k) savings plan with company match Paid orientation and time off Up to $7,000 tuition reimbursement (paid at $400/month) for qualified drivers Paid 3-day refresher course option for drivers restarting a driving career CDL Apprenticeship Training available Credit for Military Experience and Military Apprenticeship programs, plus more military benefits Many more - see full list of benefits Illinois, Kentucky, Missouri and Ohio Team Truck Driver Qualifications Valid Class A Commercial Driver's License (CDL) Live within Illinois, Kentucky, Missouri or Ohio Hazmat endorsement preferred Passport, FAST card or Enhanced CDL opens more opportunities More Reasons to Choose Team Driving at Schneider 100% Van Truckload Team trucks have automated transmissions, with an average age of 8 months Team driver advisors, current or previous top-performing Schneider Teams, provide insights and tips Learn more about Team driving Why Schneider? Safety isn't a buzzword - it's a way of life at Schneider. Nothing we do is worth harming ourselves or others. Drivers love that, and it's just one more thing that's separated Schneider from the rest for over 80 years. "I like that Schneider promotes safety all the time. The rules don't change from one person to the next. Schneider teaches you the correct way to operate a vehicle, without any shortcuts. "David, Schneider driver Join one of the top trucking companies in Illinois, Kentucky, Missouri and Ohio. Call 800-447-7433 for more information about becoming a Team truck driver with Schneider! Schneider uses E-Verify to confirm the employment eligibility of all newly hired associates. To learn more about E-Verify, including your rights and responsibilities, please visit www.dhs.gov/E-Verify . Job Company Driver Schedule Full-time Sign On Bonus 10000 PI109425488 Company Description: Real Drivers. Real Reasons. Schneider didn’t become North America’s premier trucking company on accident. From one man with one truck and one dream in 1935, we now employ over 10,000 truck drivers and serve over two-thirds of the Fortune 500 companies — all because we treat people with respect and do business with integrity. “I wanted to drive for a reputable company and stay at that company, have stability and not bounce around. Schneider offers job security while still providing room for growth within the company. Schneider also takes great pride in its dedication to safety, training and investment in technology.” – Perry Rine, Schneider Tanker Driver Get in the driver’s seat at Schneider today! Rental Car Drivers- Immediate hire! Job Description FULL TIME AND PART TIME POSITIONS AVAILABLE!! ABM Industries is hiring in Cleveland! TO APPLY (go to the link below): http://jobal.in/sWD0S Please respond to set up an interview and call Sandy Perez at 216-258-3308 *VARIOUS WORK SHIFTS AVAILABLE! Evening work shift preferred. *Location: 19025 Maplewood Avenue, Cleveland, OH 44135 Job Title: Vehicle Transporter Department: Vehicle Services Summary: Operates rental cars in a safe manner to move them to and from various locations of the car rental facility and/or market area. Perform tasks as directed by the Lead Driver, Supervisor. Manager or designated person. Essential Duties and Responsibilities include the following: May be designated temporarily to serve as a Lead Driver based on business needs. Safely operates vehicles while observing speed limits and slower reasonable speeds in the presence of pedestrians, obstacles, bright sunlight glare, darkness, etc. Moves vehicles from one point to another under the direction of the Lead Driver, Supervisor, Manager and/or designated person. Properly wears the uniform to include personal protective equipment (PPE).. Keeps him or herself gainfully busy and efficiently performing assigned duties. Maintains frequent contact with the Lead Driver and seeks direction as needed from the appropriate authority. Constantly looks for and suggests improvements to Lead Driver, Supervisor or Account Manager to enhance safety and increase productivity. Uses proper signaling methodologies (flashers on, trunk open, keys in door, etc.) to signify various pre-established meanings. Parks vehicles leaving them in customer directed states, i.e. windows up, radio turned down, then off, glove box, closed, keys in door, etc. Parks vehicles “in class” as directed by the Lead Driver, Supervisor or designated person. Promptly reports all accidents no matter how minor (i.e. fender scrape) to Lead Driver or Supervisor. Provides accurate information for the completion of accident reports. Notifies Lead Driver, Supervisor or Account Manager of all found property including money left behind by rental car customers. Assures proper clocking in and out of only his/her own time card. Notifies Supervisor or Account Manager when they will be unable to work and acknowledges that “no call, no show” is subject to disciplinary action. Other duties may be assigned. Education/Experience: High school diploma or general education degree (GED) are preferred; or one to three months related experience and/or training; or equivalent combination of education and experience. Reasoning Ability: Ability to apply common sense understanding to carry out simple one- or two-step instructions. Ability to deal with standardized situations with only occasional or no unacceptable variation in performance. Work Environment: The work environment characteristics described here are representative of those an employee encounters while performing the essential functions of this job. Reasonable accommodations may be made to enable individuals with disabilities to perform the essential functions. While performing the duties of this job, the employee is regularly exposed to fumes or airborne particles. The employee is constantly exposed to work near moving vehicles. The noise level in the work environment is usually moderate. Because a large part of the job is outside of vehicles, employee will be exposed to temperatures that are uncomfortably cold to extremely hot as well as occasional rain, wind with blowing dust, etc. Driving will occur at times when the sun’s glare or direct blasts of sunlight provide additional challenges to safe vehicle operation. Physical Demands: The physical demands described here are representative of those that must be met by an employee to successfully perform the essential functions of this job. Reasonable accommodations may be made to enable individuals with disabilities to perform the essential functions. While performing the duties of this job, the employee is regularly required to stand; walk; hand dexterity, handle, or feel and reach with hands and arms. The employee is frequently required to climb into and out of vehicles sometimes with restricted access and with various height seats. Company Description ABM Industries Inc. is a facility management provider in the United States. ABM was founded in 1909 by Morris Rosenberg in San Francisco, CA as a single-person window washing business. Over 100 years later, the company is one of the largest facility solutions providers with over 130,000 employees, over 350 offices, and various international locations. Whether it’s a student, employee, patient, tenant, traveler, or guest, we make sure their car is parked efficiently; they are greeted courteously; and they arrive at a clean, comfortable, and well-maintained facility. ABM has pledged our commitment to actively hire veterans of the U.S. Armed Forces. We value and recognize the leadership, training, character and discipline that our veterans and members of the National Guard and Reserve bring to our company and the American workforce. Drivers - Rental Car - Immediate hire! Job Description FULL TIME AND PART TIME POSITIONS AVAILABLE!! ABM Industries is hiring in Cleveland! TO APPLY (go to the link below): http://jobal.in/21gmP1 or text 14326 to: (216) 208-3672 Please respond to set up an interview and call Kevin Kruchan at: 313-643-0147 *VARIOUS WORK SHIFTS AVAILABLE! Evening work shift preferred. *Location: 19025 Maplewood Avenue, Cleveland, OH 44135 *Pay: $8.55/hr. - $9.10/hr. Job Title: Vehicle Transporter Department: Vehicle Services Summary: Operates rental cars in a safe manner to move them to and from various locations of the car rental facility and/or market area. Perform tasks as directed by the Lead Driver, Supervisor. Manager or designated person. Essential Duties and Responsibilities include the following: May be designated temporarily to serve as a Lead Driver based on business needs. Safely operates vehicles while observing speed limits and slower reasonable speeds in the presence of pedestrians, obstacles, bright sunlight glare, darkness, etc. Moves vehicles from one point to another under the direction of the Lead Driver, Supervisor, Manager and/or designated person. Properly wears the uniform to include personal protective equipment (PPE).. Keeps him or herself gainfully busy and efficiently performing assigned duties. Maintains frequent contact with the Lead Driver and seeks direction as needed from the appropriate authority. Constantly looks for and suggests improvements to Lead Driver, Supervisor or Account Manager to enhance safety and increase productivity. Uses proper signaling methodologies (flashers on, trunk open, keys in door, etc.) to signify various pre-established meanings. Parks vehicles leaving them in customer directed states, i.e. windows up, radio turned down, then off, glove box, closed, keys in door, etc. Parks vehicles “in class” as directed by the Lead Driver, Supervisor or designated person. Promptly reports all accidents no matter how minor (i.e. fender scrape) to Lead Driver or Supervisor. Provides accurate information for the completion of accident reports. Notifies Lead Driver, Supervisor or Account Manager of all found property including money left behind by rental car customers. Assures proper clocking in and out of only his/her own time card. Notifies Supervisor or Account Manager when they will be unable to work and acknowledges that “no call, no show” is subject to disciplinary action. Other duties may be assigned. Education/Experience: High school diploma or general education degree (GED) are preferred; or one to three months related experience and/or training; or equivalent combination of education and experience. Reasoning Ability: Ability to apply common sense understanding to carry out simple one- or two-step instructions. Ability to deal with standardized situations with only occasional or no unacceptable variation in performance. Work Environment: The work environment characteristics described here are representative of those an employee encounters while performing the essential functions of this job. Reasonable accommodations may be made to enable individuals with disabilities to perform the essential functions. While performing the duties of this job, the employee is regularly exposed to fumes or airborne particles. The employee is constantly exposed to work near moving vehicles. The noise level in the work environment is usually moderate. Because a large part of the job is outside of vehicles, employee will be exposed to temperatures that are uncomfortably cold to extremely hot as well as occasional rain, wind with blowing dust, etc. Driving will occur at times when the sun’s glare or direct blasts of sunlight provide additional challenges to safe vehicle operation. Physical Demands: The physical demands described here are representative of those that must be met by an employee to successfully perform the essential functions of this job. Reasonable accommodations may be made to enable individuals with disabilities to perform the essential functions. While performing the duties of this job, the employee is regularly required to stand; walk; hand dexterity, handle, or feel and reach with hands and arms. The employee is frequently required to climb into and out of vehicles sometimes with restricted access and with various height seats. Company Description ABM Industries Inc. is a facility management provider in the United States. ABM was founded in 1909 by Morris Rosenberg in San Francisco, CA as a single-person window washing business. Over 100 years later, the company is one of the largest facility solutions providers with over 130,000 employees, over 350 offices, and various international locations. Whether it’s a student, employee, patient, tenant, traveler, or guest, we make sure their car is parked efficiently; they are greeted courteously; and they arrive at a clean, comfortable, and well-maintained facility. ABM has pledged our commitment to actively hire veterans of the U.S. Armed Forces. We value and recognize the leadership, training, character and discipline that our veterans and members of the National Guard and Reserve bring to our company and the American workforce. Job Description TO APPLY go to the link below: http://jobal.in/GlLjE or text 38888 to: (216) 208-3672 Please contact Kevin Kruchan at 216-536-8397 or via email at: kevin.kruchan@abm.com / or contact Sammantha Bush at: sammantha.bush@abm.com Job Title: Supervisor / Account Lead FLSA Status: Non-Exempt Department: Vehicle Services Division: Business & Industry Summary: Assist in the management of an assigned account or multiple accounts under the direction and guidance of the Project Manager. Specific responsibilities include work-scheduling of all account personnel, establishing and enforcing work standards in conjunction with the Project Manager, monitoring overall inventory/equipment usage, troubleshooting/problem solving, orientation/training of Account Staff, customer relations, and special project work as requested. The purpose of this role is to prepare the incumbent to assume the operational duties of an account through hands-on training and managerial experience under the direction of an experienced Project Manager. Essential Duties and Responsibilities include the following: Ability to supervise the entire operation and direct the workforce as needed to accomplish multiple tasks simultaneously. Must be able to quickly make decisions while under pressure. Communicates frequently with the Customer, Supervisor and Lead Drivers. Is aware of lot status and be aware of problems. Sets example to employees in respect to how job should be performed, and all safety rules are observed. Provides training as necessary to establish acceptable practices and correct deficiencies. Counsels, trains or disciplines employees as required. Participate in staff selection process. Interview candidates as needed. Schedule days off, holidays, and vacations, ensuring that the account's needs are met in accordance with hours and position control. Assign personnel to established work areas or project duties. Conducts quality assurance checks and manages materials inventory as well as general use of equipment. Ensure that staff receives proper orientation, initial training, and ongoing education. Provide individual guidance and motivation to staff to enable each one to perform to his/her fullest potential. Discipline associates when necessary according to progressive disciplinary guidelines. Prepare associate disciplinary and variance reports and conduct follow-up investigation as needed, reporting findings to Project Manager. Prepare disciplinary action notices and conduct follow-up as required. Conduct disciplinary meetings with associates with guidance from Account Manager. Demonstrate and promote ABM culture, values, and management philosophy. Demonstrate quality leadership in meeting performance plans. Other duties may be assigned. Education/Experience: High school diploma or general education degree (GED) is preferred; or one to three months related experience and/or training; or equivalent combination of education and experience. 3-5 years of supervisory experience. Rental Car industry experience is preferred but not required. Candidate must have a clean Motor Vehicle Record. Language Ability: Ability to read a limited number of two- and three-syllable words and to recognize similarities and differences between words and between series of numbers. Ability to print and speak simple sentences. Reasoning Ability: Ability to apply common sense understanding to carry out simple one- or two-step instructions. Ability to deal with standardized situations with only occasional or no unacceptable variation in performance. Work Environment: The employee may be exposed to fumes and airborne particles as well as hot engine components. Employee must be constantly aware of potential burn hazards and take additional precautions to avoid contact with hot surfaces, etc. The employee is constantly exposed to work near moving vehicles and use caution to avoid injury. The noise level in the work environment is usually moderate. Restricted access areas like under seats, present hidden hazards. Because a large part of the job is outside of vehicles, employee will be exposed to temperatures that are uncomfortably cold to extremely hot as well as occasional rain, wind with blowing dust, etc. Physical Demands: The physical demands described here are representative of those that must be met by an employee to successfully perform the essential functions of this job. Reasonable accommodations may be made to enable individuals with disabilities to perform the essential functions. While performing the duties of this Job, the employee is regularly required to stand, bend, lean over, briskly walk; use hands to finger, handle, or feel and reach with hands and arms. The employee is frequently required to get into and out of vehicles sometimes with restricted access and into seats that are too high or low. All provide an extra tax on the ability to get into and out of vehicles easily as well as cause physical fatigue. Company Description ABM Industries Inc. is a facility management provider in the United States. ABM was founded in 1909 by Morris Rosenberg in San Francisco, CA as a single-person window washing business. Over 100 years later, the company is one of the largest facility solutions providers with over 130,000 employees, over 350 offices, and various international locations. Whether it’s a student, employee, patient, tenant, traveler, or guest, we make sure their car is parked efficiently; they are greeted courteously; and they arrive at a clean, comfortable, and well-maintained facility. 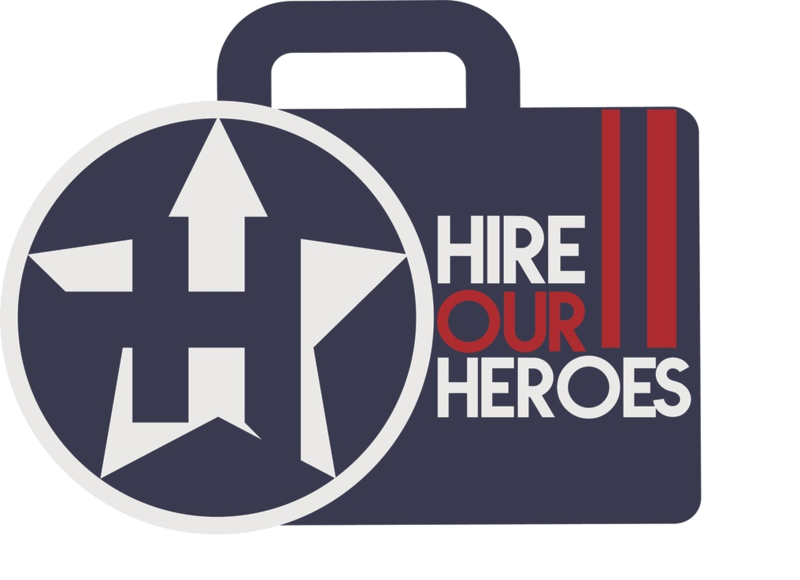 ABM has pledged our commitment to actively hire veterans of the U.S. Armed Forces. We value and recognize the leadership, training, character and discipline that our veterans and members of the National Guard and Reserve bring to our company and the American workforce. Job Description TO APPLY go to the link below: http://jobal.in/EZW62 or text 04556 to: (216) 208-3672 Job Title: Vehicle Services Attendant FLSA Status: Non-Exempt Department: Vehicle Services Division: Business & Industry Summary: Performs vehicle cleaning in a Car Rental facility. Refuels and cleans interior of rental return cars. Performs inspection of cars for damage not detected earlier. Checks fluids like windshield washer, checks tire pressure, etc. Performs other tasks as directed by the Lead, Supervisor, Manager and/or designated person. Essential Duties and Responsibilities include the following: Prior to moving/working on vehicles, inspects all vehicles for damage. Notes scrapes, dents, etc. that were not caught and reported earlier. Immediately notifies Supervisor of the damage so that proper reporting and investigation can be accomplished. Carefully drives vehicles in gas pump and carwash areas avoiding other vehicles and workers who will be present. Checks fuel gage and refuels vehicles if necessary. Removes and disposes of all trash left in vehicle interior and trunk area. Vacuums vehicle interior floor, seats, etc. and trunk/hatch area. Removes, cleans and replaces floor mats if necessary. Inspects all compartments (glove box, center console, door pockets, overhead eye-glass compartment, visors, etc.) for customer-forgotten items. Cleans and/or vacuums these areas. Immediately reports to the Supervisor anything of value left behind by the last rental car customer. (Items of value include but are not limited to cell phones, money, personal items, etc.) Cleans interior of windows, inside mirror, dash, plastic door panels, kick plates, door thresholds, door frames, etc. Applies air freshener if necessary. Makes appropriate record-keeping entries associated with the processing of each vehicle. Operates cars through carwash as required. Based upon the type of problem discovered, marks vehicles with proper annotation, (preventative maintenance, out of service, body damage) etc. as necessary. Cleans vehicles in the order directed, concentrating first on high-demand ones as determined by Supervisor. Avoids “horse-play” with pressurized air hoses, water hoses, spray bottles, etc. Safely operates vehicles while observing speed limits and slower reasonable speeds in the presence of pedestrians, obstacles tight clearances, bright sunlight glare, darkness, etc. Properly wears the uniform. Keeps busy and efficiently performs assigned duties throughout the work shift. Maintains contact as necessary with supervision seeking direction as needed from the appropriate authority. Constantly looks for and suggests improvements to the processes to enhance safety and increase productivity. Promptly reports all injuries, no matter how minor, and accidents to vehicles or equipment breakage, etc. to Supervisor. Provides accurate information for the completion of incident and accident reports. Assures proper clocking in and out of only his/her own time card. Notifies Supervisor or Account Manager when they will be unable to work and acknowledges that “no call, no show” is subject to disciplinary action. As a good steward, uses time, equipment etc. in proper manners. Other duties may be assigned. Education/Experience: High school diploma or general education degree (GED) is preferred; or one to three months related experience and/or training; or equivalent combination of education and experience. Experience performing routine automobile cleaning and servicing desired. Language Ability: Ability to read a limited number of two- and three-syllable words and to recognize similarities and differences between words and between series of numbers. Ability to print and speak simple sentences. Reasoning Ability: Ability to apply common sense understanding to carry out simple one- or two-step instructions. Ability to deal with standardized situations with only occasional or no unacceptable variation in performance. Work Environment: The employee may be exposed to fumes and airborne particles as well as hot engine components. Employee must be constantly aware of potential burn hazards and take additional precautions to avoid contact with hot surfaces, etc. The employee is constantly exposed to work near moving vehicles and use caution to avoid injury. The noise level in the work environment is usually moderate. Restricted access areas like under seats, present hidden hazards. Because a large part of the job is outside of vehicles, employee will be exposed to temperatures that are uncomfortably cold to extremely hot as well as occasional rain, wind with blowing dust, etc. Physical Demands: The physical demands described here are representative of those that must be met by an employee to successfully perform the essential functions of this job. Reasonable accommodations may be made to enable individuals with disabilities to perform the essential functions. While performing the duties of this Job, the employee is regularly required to stand, bend, lean over, briskly walk; use hands to finger, handle, or feel and reach with hands and arms. The employee is frequently required to get into and out of vehicles sometimes with restricted access and into seats that are too high or low. All provide an extra tax on the ability to get into and out of vehicles easily as well as cause physical fatigue. Company Description ABM Industries Inc. is a facility management provider in the United States. ABM was founded in 1909 by Morris Rosenberg in San Francisco, CA as a single-person window washing business. Over 100 years later, the company is one of the largest facility solutions providers with over 130,000 employees, over 350 offices, and various international locations. Whether it’s a student, employee, patient, tenant, traveler, or guest, we make sure their car is parked efficiently; they are greeted courteously; and they arrive at a clean, comfortable, and well-maintained facility. ABM has pledged our commitment to actively hire veterans of the U.S. Armed Forces. We value and recognize the leadership, training, character and discipline that our veterans and members of the National Guard and Reserve bring to our company and the American workforce. Job Description The Direct Sales Representative role is responsible for carrying out the necessary plan for the client’s brands within a defined area. The position is responsible for the overall promotion of the brand, including its continued development, management, and sales. This role is dedicated to providing excellent customer service and developing a professional working relationship with store management, associates, and other merchandising companies to effectively meet company and client objectives. Company Description At CROSSMARK, you can get the job that gets your lifestyle. Whether you are seeking a career as a retail merchandiser, retail representative, or product/event demonstrator, and desire the flexibility of part-time or full-time employment, we have a place for you. Join our U.S. team of over 30,000 dedicated and talented individuals in providing expert sales and marketing services for the consumer goods industry.